The objective of WP1 is to achieve a high level impact of the project, while at the same time staying within the budget and scheduled timeframe. The main objective of WP2 is to understand the influence of wider contextual framework conditions on the situation of women in RTDI like the structure and performance of the innovation systems, gender equality in the labour market, welfare policies, the governance of gender equality but also the evaluation culture in RTDI. Relevant contextual framework conditions will then be included in the conceptual evaluation model. The main objective of WP3 is to identify patterns and links between gender equality promoting initiatives and a number of impacts on research and innovation, through meta analyses of performed evaluations of gender equality policies and other existing approaches from RTDI evaluations. The identified best practice norms for evaluation frameworks of gender equality policies shall be gathered in a collection of indicators to measure impact on three levels. The learning outcome of the initial analysis and data collection thereby includes the development of an initial first draft of an adequate conceptual model of the evaluation framework, i.e. Toolbox EFFORTI 1.0. 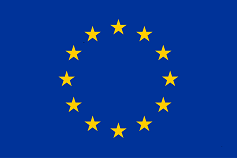 Within WP4 the study team will carry out 25case studies distributed over 7 countries. The case studies will ground the evaluation framework developed in WP3 in different empirical settings and test its applicability for different types of equality measures. The case studies will provide important feedback for the finalization of the EFFORTI Toolbox in WP5, test theories of change for the cases and identify good practices. 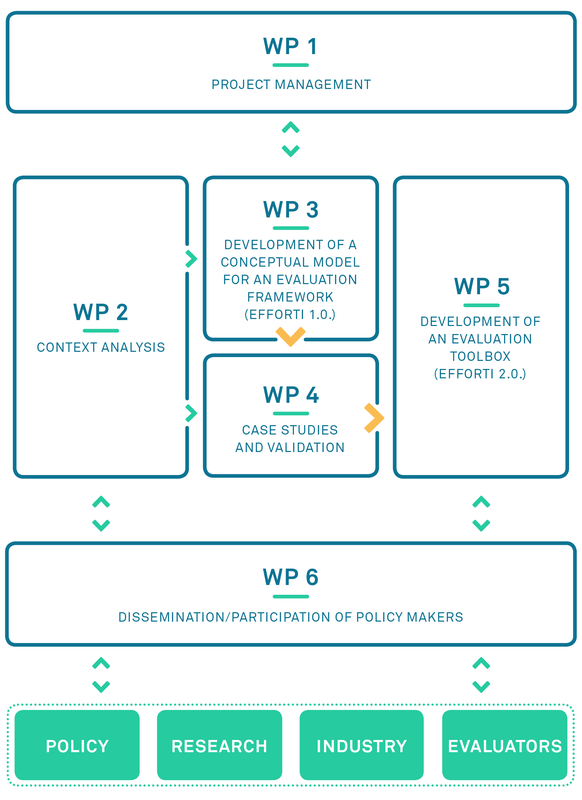 Based on the outcomes of the previous work packages, the main objective and outcome of WP5 is the development of the final evaluation toolbox (EFFORTI 2.0) which will contain concrete indicators and methodological suggestions that summarize the most important success factors for the design, implementation, monitoring, evaluation and re-design of GE measures. The key idea here is to enable policy makers, evaluators, science managers and programme owners not only to obtain easy access to information on relevant concepts of GE measures and evaluation subjects, but also to provide them with a framework of analysis and evaluation on the influence of measures to promote gender equality on RTDI and RRI outputs. The main objective of WP6 is the development and establishment of a sound communication structure, which involves all project partners and aims to attract a broad audience of gender, evaluation, and innovation eco-systems, political decision makers, and industry partners. Through our dissemination activities we will also enhance sustainability of project results by utilizing multiple communication channels.